It’s becoming harder and harder to pretend that I’m not blogging again until November 1. 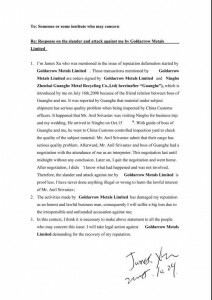 But my sincere desire to be fair and balanced requires that I make one more post related to the notorious Ningbo scrap kidnapping. 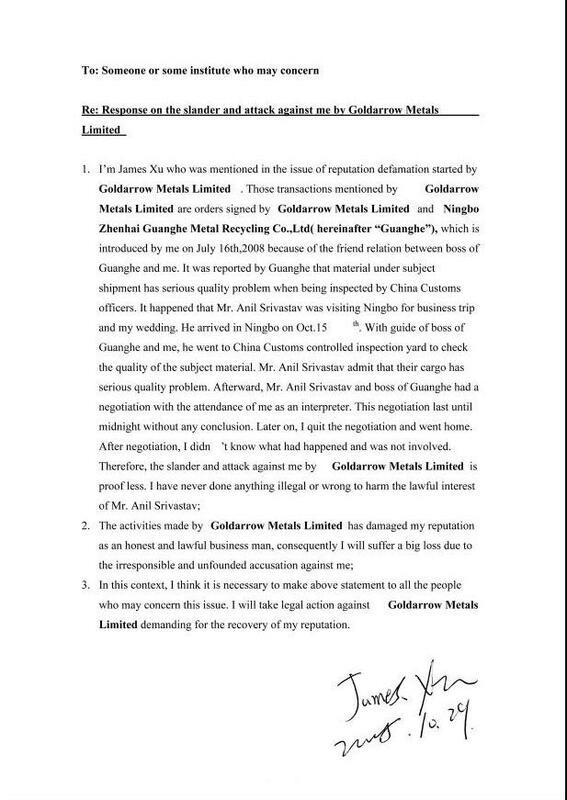 For those who haven’t been following the issue, the international scrap trade is being roiled by allegations that a British metal trader was recently kidnapped and held for a US$350,000.00 ransom by a provincial-level, state-owned scrap firm. All of the details – including source docs – are available at the post just below this one. 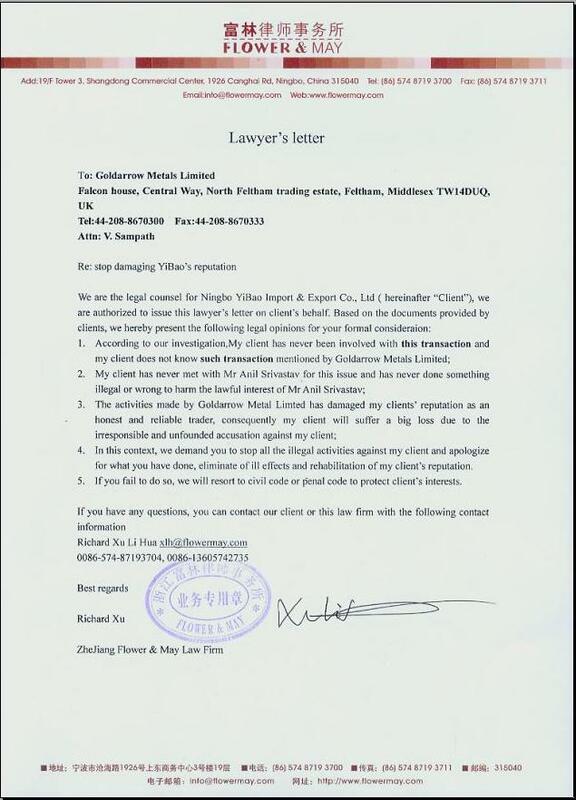 Last week, the managing director of Gold Arrow indicated to me that he, too, would be taking legal action. It’ll be interesting to see how that works out. In the meantime, I’m still waiting to hear back from Gold Arrow in re to my request to speak directly with Mr. Anil Srivastav. In the meantime, comments from lawyers or other individuals experienced in these kinds of matters would be much appreciated. 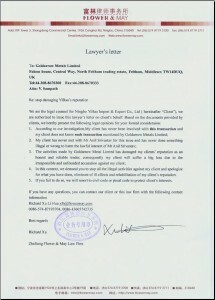 First thing I notice is a discrepancy between James Xu’s letter and his lawyers’ letter. James says he was involved in this matter and the lawyer says he wasn’t. If they can’t get that key point straight then I wonder if any of the rest of their story is accurate. So who held the British fellow against his will? Adam,Please keep on with this blog!!! Forrest you have the nerve to suggest that legit journalists read blogs for gasp story ideas but don’t cite them? I’m shocked just shocked.